In English there are many ways to speak about future and at the same time there are many grammarians who claim that there is nothing like a future tense in English. I do not want to discuss this issue here, I would only like to present two ways of speaking about future. 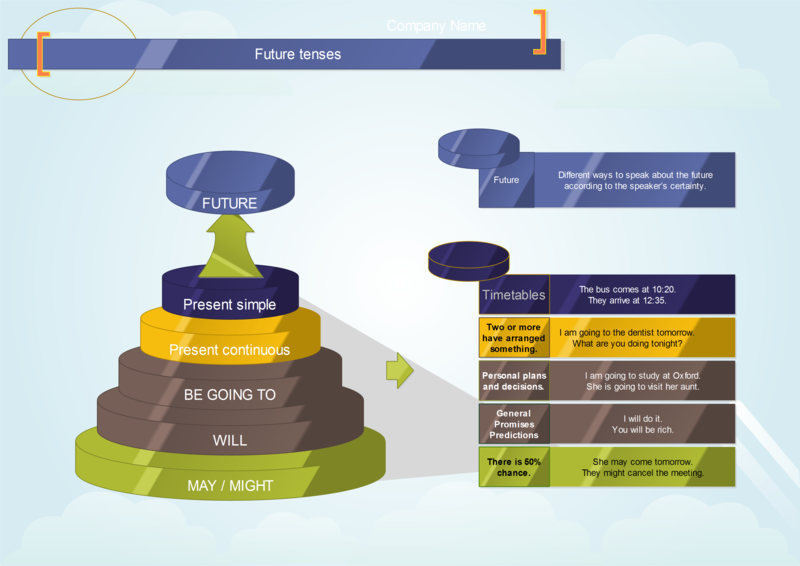 First I will introduce the basic system of future tenses in English according to the speaker’s certainty. The tenses presented at the bottom of the pyramid are the least certain to happen. The tenses at the top of the pyramid are the most certain. 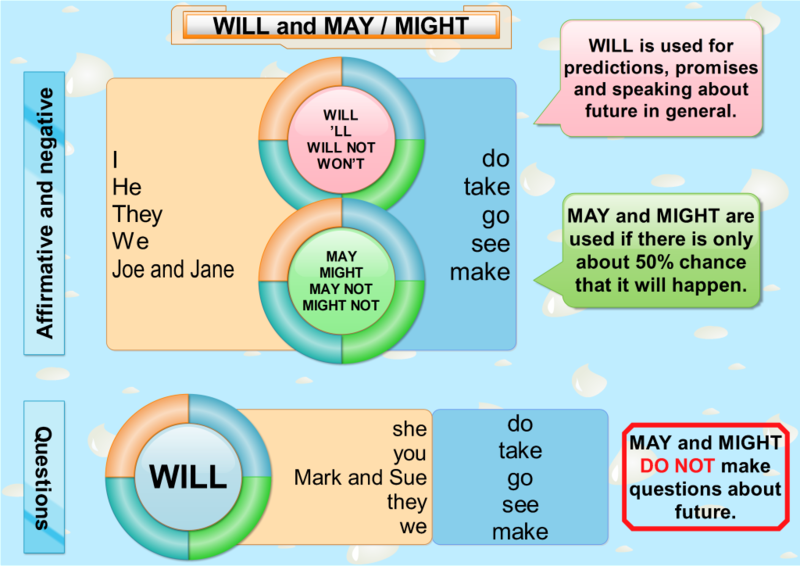 And in this post, I would like to deal with the tenses that are at the bottom of the pyramid: MAY/MIGHT and WILL. WILL is the most frequent form used to speak about the future. So if you are in doubt, use WILL. In both cases the verbs used after the words MIGHT/MAY and WILL are always in their basic form (in the infinitive without TO). Once you have studied the mind maps and the explanations above, it is time to practise all you have learnt in several games. The first game is called On Target and your task is to choose which word best suits into each gap. If you answer correctly you will be given a chance to shoot the bad ducks. You can shoot a bottle too and get a bonus. In the second game you should choose the correct form again and score a basket. Good luck. It helps us to remind the correct usage of english grammar. I really appreciate the exercises given .Thanks for sharing! It is good way to learn future tense. I like this website. It is really helpful. Right-click the picture and download it.